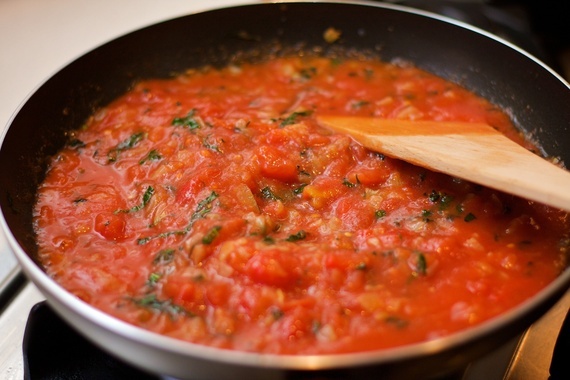 What's the difference between marinara and pomodoro sauce? How about ricotta and mascarpone? Aren't ice cream and gelato the same thing? These are just a few of the questions we've asked ourselves when trying to decide what to eat off a trattoria menu. Avoid confusion and impress your dinner crew with this cheat sheet for ordering in Italian, and buon appetito! Pomodoro means "tomato" in Italian, and you'll often see the term as part of the classic Italian dish "pasta al pomodoro," a simple pasta with a sauce of olive oil, fresh tomatoes and basil. The difference between pomodoro and marinara? The tomatoes aren't as chunky in pomodoro, the sauce is cooked longer, and it's darker in color. Photo provided by Bar Primi. Photo by Noah Fecks. 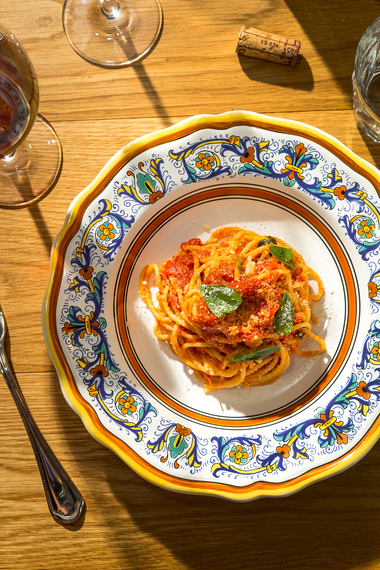 The Spaghetti Pomodoro at Bar Primi in NYC is fresh and light, prepared al dente with fresh basil and Parmigiano-Reggiano. 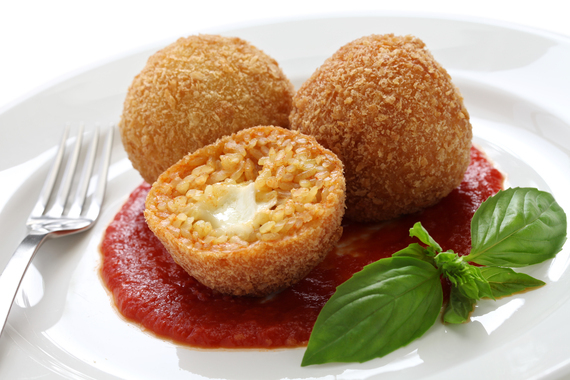 Arancini are stuffed rice balls fried in bread crumbs that take their name from the word "arancia," meaning "orange" in Italian due to their shape and color. Common fillings -- which vary regionally -- can include meat or tomato sauce, mozzarella, peas or mushrooms. The dish is great as an appetizer or a side with a main course. Photo provided by G by Mike Isabella. 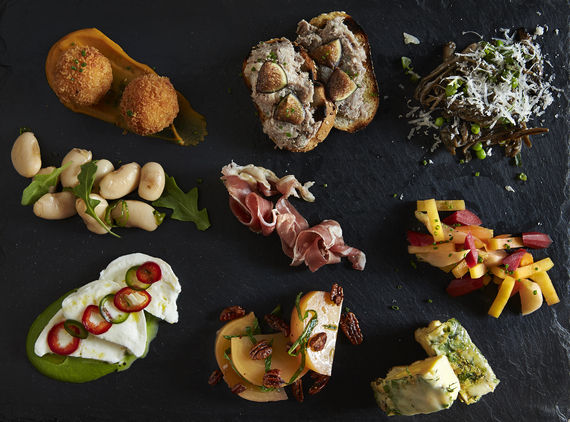 Currently, the arancini at G by Mike Isabella in Washington D.C. are served as a part of an Antipasti Misti platter, alongside burrata and beet salad. 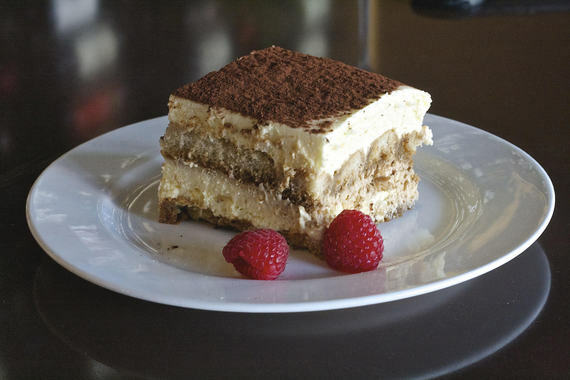 Just as its name suggests, tiramisu (meaning "pick me up" or "cheer me up" in Italian) is a light-as-air, popular coffee-flavored Italian dessert. To make it, ladyfingers (sponge biscuits) are dipped in coffee and layered with a whipped mixture of eggs, sugar and mascarpone (Italian cream cheese) and finished with a dusting of cocoa. Photo provided by Osteria Mamma. The Tiramisu at Osteria Mamma in Los Angeles is the perfect melt-in-your-mouth ending to any Italian meal. A classic Italian cheese dating back to the Bronze Age, ricotta is made from sheep, cow or goat milk whey (the liquid remaining after milk has been curdled and strained). 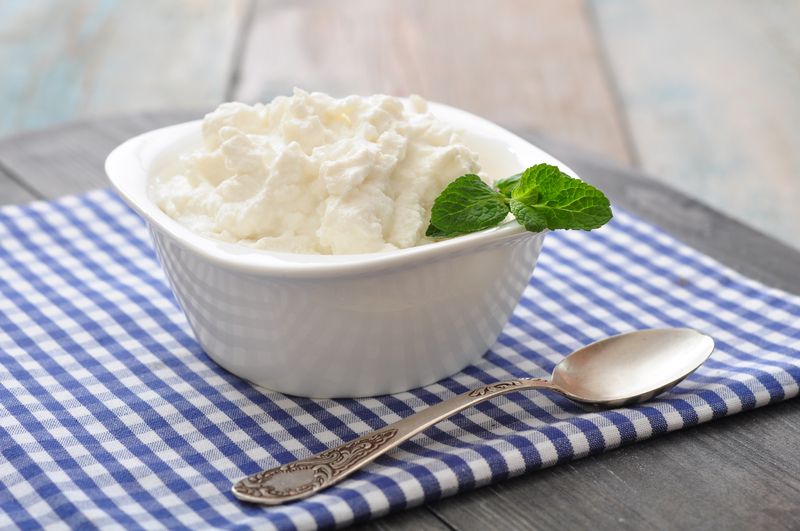 Ricotta is commonly used in Italian desserts like cheesecakes and cannoli, as well as in calzones, pizza, lasagna and ravioli. Photo provided by Le Virtu. 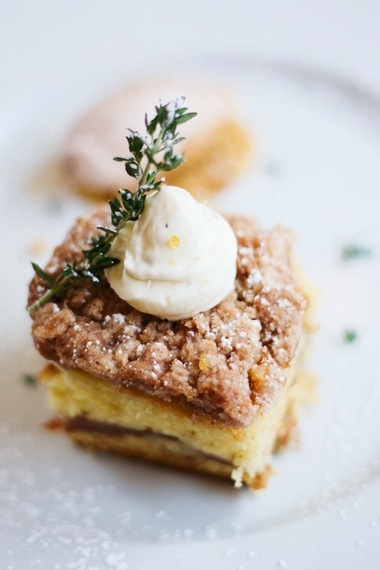 One of many fantastic desserts on the menu at Le Virtu in Philadelphia, the Torta di Mandorle is a flourless citrus-almond cake with cinnamon-whipped sheep's milk ricotta and saffron honey. 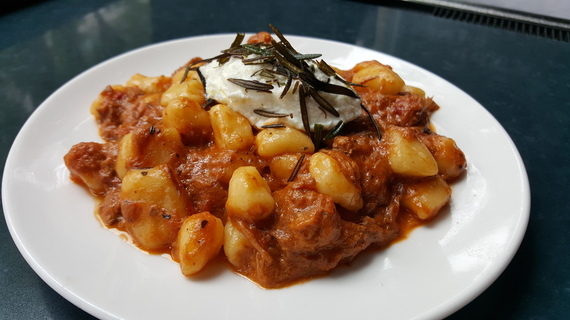 Generally eaten in Italy as a first course alternative to soup or pasta, gnocchi are dense, soft dough dumplings made from semolina, wheat flour, cheese, egg, potato and bread crumbs. Preparations vary greatly across regions, though a butter sage sauce is common. 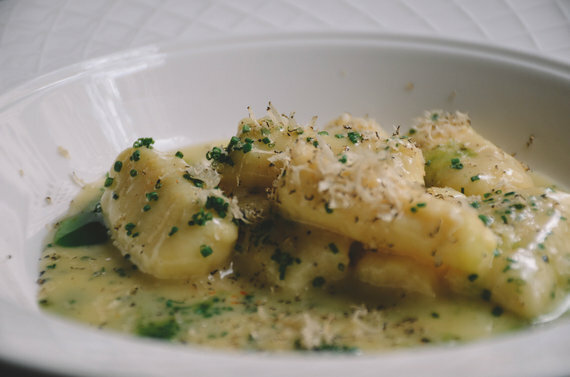 At La Storia in Chicago, gnocchi is prepared in two different but equally delicious ways -- with Pecorino Romano, seasonal truffle and chive or with kale pesto, Pecorino, lemon and a Tuscan kale chip. The Potato Gnocchi at Graffiato in Washington D.C. is pillowy and filling, made with pork ragu, whipped ricotta and crispy rosemary. 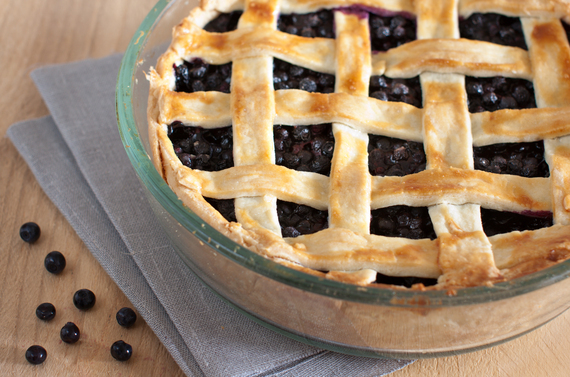 Dating back to the 1400s, a crostata is an Italian baked pie or tart made with a chunky filling (as opposed to a blended filling). Common variations include fruit preserves like apricot, cherry, peach or blueberry. Photo provided by The Factory Kitchen. 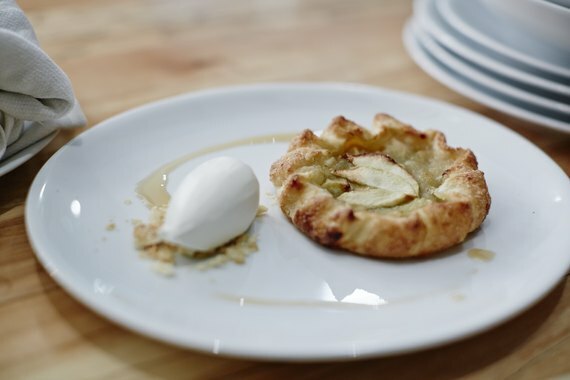 The Crostata at The Factory Kitchen in Los Angeles is baked with Granny Smith apples, and served with a scoop of spiced white chocolate gelato (Italian ice cream) and drizzled caramel sauce. Though often used interchangeably with ice cream, gelato has a higher proportion of milk, a lower proportion of cream and eggs, and is churned at a slower rate creating a thicker, creamier result. 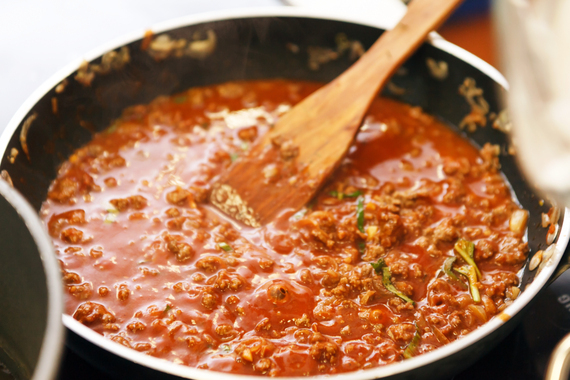 Ragù is traditionally a meat-based sauce cooked with a liquid -- broth, stock, water, wine, milk, cream and tomato are common -- and vegetables. The meat -- beef, chicken, pork, duck, goose and lamb are popular choices -- is minced, chopped or ground and almost always served over pasta. A vegetarian ragù can also be made by substituting chopped vegetables for meat. To make carpaccio, raw meat or fish -- typically beef, veal, venison, salmon or tuna -- is thinly sliced or pounded thin and seasoned with lemon or vinegar, olive oil, salt and ground pepper. 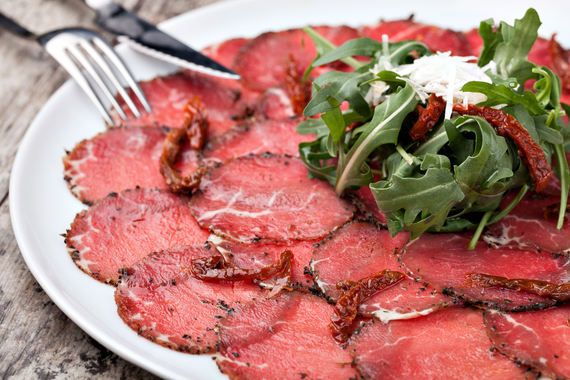 This shareable appetizer -- often accompanied by arugula and shaved cheese -- is an awesome start to any group dinner. Photo provided by Seven Hills. 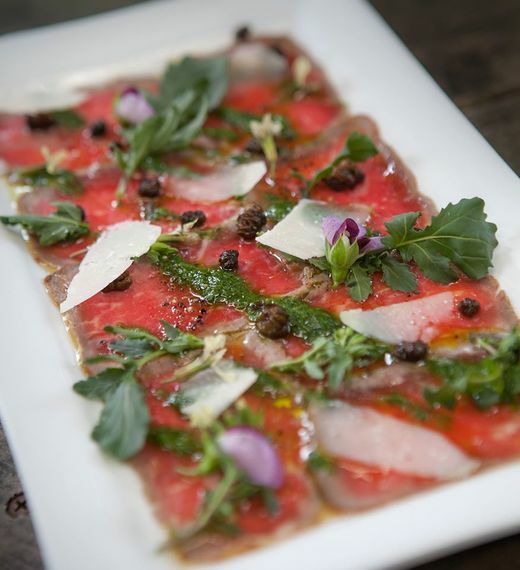 At Seven Hills in San Francisco, American Kobe Beef Carpaccio is served with charred calçot (a type of scallion), lemon, capers and Parmesan. We all know (and love!) spaghetti and macaroni, but rigatoni is the pasta central to the cuisine in southern and central Italy. A tube-shaped noodle that's larger than penne and ziti, rigatoni has ridges down its length, making it ideal for soaking up savory sauces and grated cheese. Coppa in Boston dishes out many homemade pastas, including a delightful Rigatoni con Sugo -- a traditional pasta sauce comprised of cured pork cheek, Pecorino cheese and tomato -- topped with sage and Parmesan. From the northern Italian region of Piedmont, panna cotta is sweetened cream thickened with gelatin which is then poured into a mold to set. The cream is often flavored with rum, coffee or vanilla, and the dish is topped with berries or a caramel or chocolate sauce. 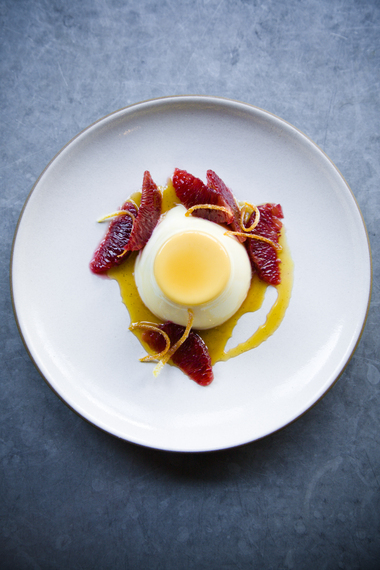 Satisfy your sweet tooth at Delfina in San Francisco with its creamy Bourbon Vanilla Panna Cotta topped with Seville orange caramel.